Would you like to be this year's Ambassador for the Fair and representative for the coming year? 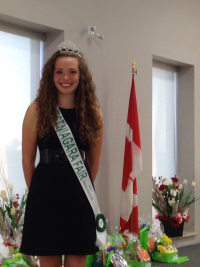 Each year a young person is chosen to be the Ambassador for the West Niagara Fair. 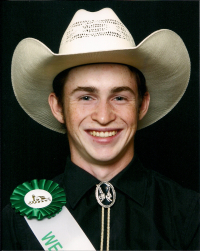 The competition is now open and the Ambassador fair committee is looking for the next young person to assume the role of The West Niagara Fair Ambassador. 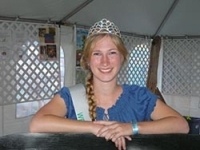 If you are between the ages of 16 to 25 and are interested in becoming the next West Niagara Fair Ambassador, or know of someone who might make a great representative for the Fair, we encourage you or them to apply. Be unmarried and have no children. Be available and be present at the 2017 West Niagara Fair, Sept 8,9 & 10 and willing to wear a sash and Crown/Hat and perform assist in presentations for various events during the fair. Be willing to attend events, represent and promote the fair at various Agricultural events during the 2017-18 year. Be willing to assume all duties of the Fair Ambassador. Being Fair Ambassador is a great opportunity to grow your personal skills, gain experience with public interactions, attend various Agricultural events, and provides the opportunity to enter and compete in the Ambassador competition for the CNE in 2018! The competition for the West Niagara Fair Ambassador will be held on Tuesday September 6th at 7:00 pm in the New Community Centre at the Fairgrounds. Competitors will present a 1 ½ minute speech on Agriculture, Agriculture Societies, or some aspect of the West Niagara Fair. Any questions can also be inquired at the above email address as well! We are excited to announce that Marijke, will be returning for another year as our 2018-2019 Ambassador! Marijke is beginning her first year at Guelph University in Animal Sciences. Since Marijke was not old enough in 2018, she is excited as this will also give her the opportunity to represent West Niagara at the CNE in 2019! Be sure to say Hello and stop and chat and meet her in person at the fair!